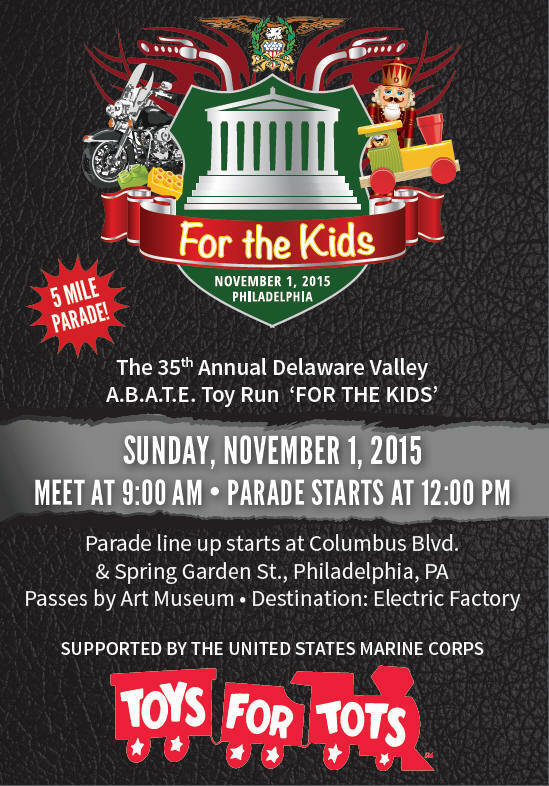 We’re excited to be working with Delaware Valley ABATE for a 2nd year! We hope that all of our friends that ride can make it out for this amazing annual event that gives a lot of children in need a Merry Christmas. (NO stuffed animals, Toy Guns or 2 part gifts ie video games, cell phone cases, etc..).